The original complete collection of Bach?s works, the Bach-Gesellschaft edition, appeared in Leipzig in 46 volumes between 1851 and 1899. It was the first ?complete works? edition to publish a composer's notation without deliberate editorial tampering, to include almost every composition, and to provide a critical apparatus, serving as a model for virtually every critical edition since that day. Vol. IX, with a preface dated April 1860 signed by the editor, Wilhelm Rust, contained three sonatas for flute and keyboard. Although most of the flute sonatas by Johann Sebastian Bach pose questions of authenticity, the B minor sonata BWV 1030 is undoubtedly his own work. Of the eight existing sources of the sonata, there is a manuscript with his own signature, which leaves little room for doubt. However, there is also copy of a harpsichord part in the key of G minor which dates earlier than the signed manuscript. This raises the issue of chronology. 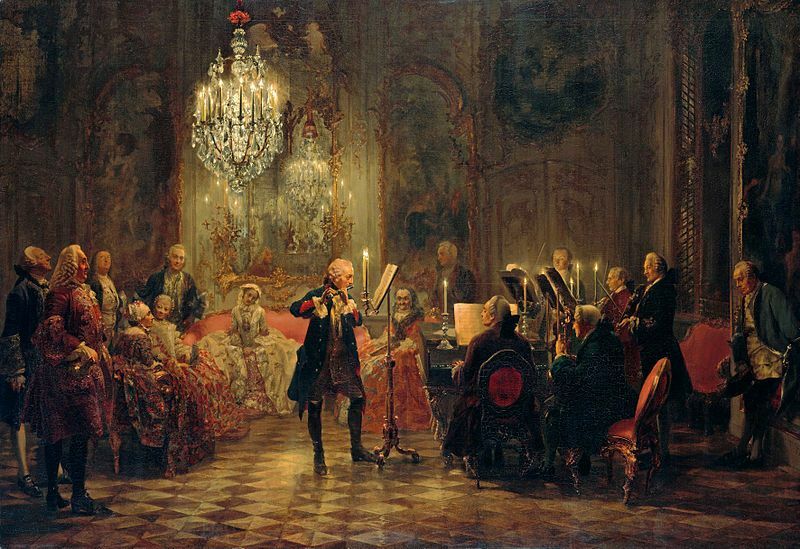 Popular theory suggests that Bach composed most of his chamber works while he was director of Collegium Musicum (a group of musicians dedicated to the art of performance) in Leipzig from 1729-1737. Thus, it is most likely that the G minor version was composed in his first few years as director and transcribed it to B minor around 1736. Of his flute sonatas, the B minor is one of two (the other being BWV 1032) in which the harpsichord part is fully composed. This differs from the past style of continuo, which left the keyboard player plenty of room for his/her own ornamentation. Given this, the harpsichordist acts as an equal partner to the solo flute and shares the melodic material. The first movement, marked Andante, is the most distinctive. 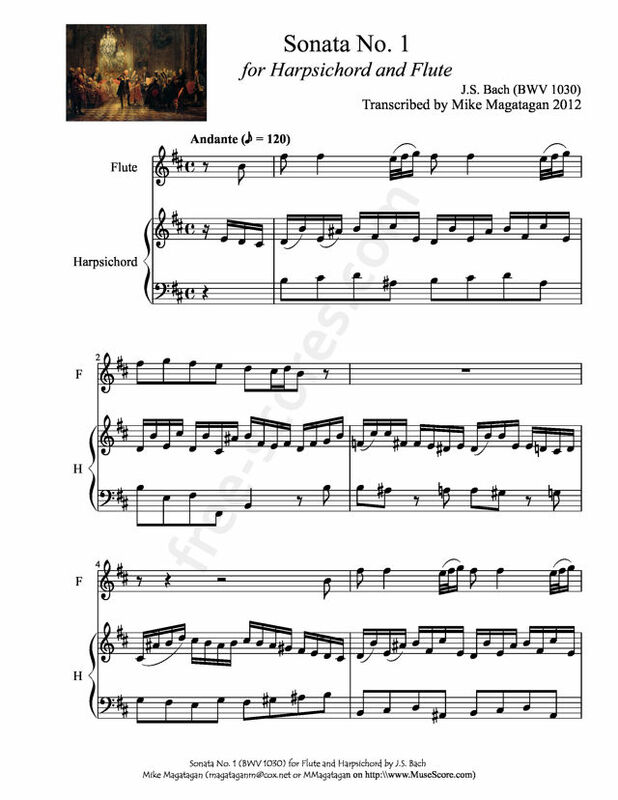 Its free ritornello (short recurring passages) form make for stimulating interplay between the flute and harpsichord. Another slow movement follows (Largo e dolce) and encompasses two beautifully simple themes, which serve as a release from the complexity of the first movement. The third movement (Presto--Allegro) is in two parts, beginning with a fugal presto that leads straight into a gigue-like section which is most notable for its witty syncopations and technical demands. The B minor sonata is the greatest and most difficult of Bach's flute works. 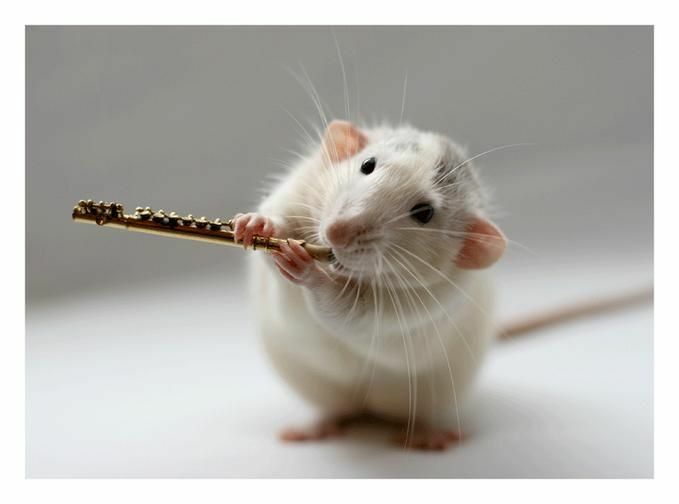 Its historical significance, technical demands and timeless beauty, bring it to the forefront of his compositions and takes the rightful place as a staple in the solo flute literature. This is my transcription of the 3 movements (technically 4) from the 1st Sonata in B Minor (BWV 1030). 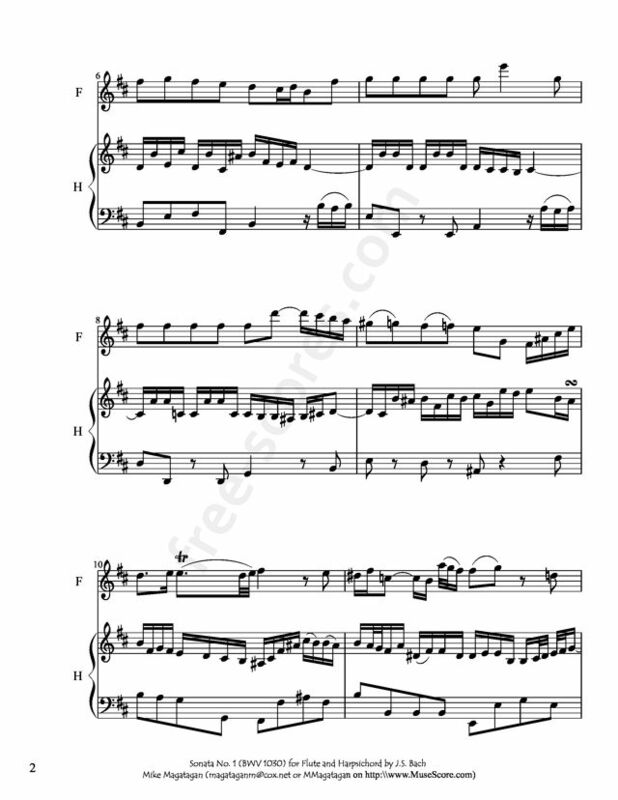 1 scores found for "Sonata No. 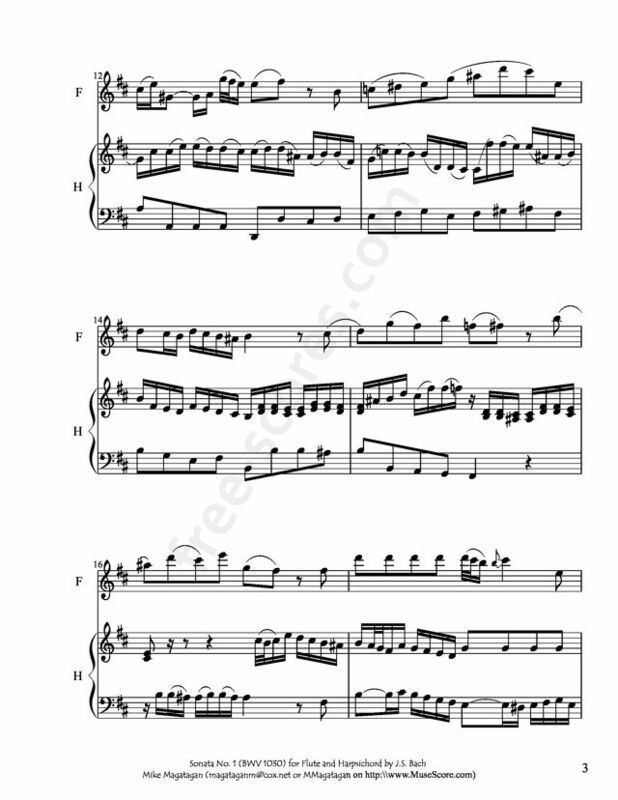 1 (BWV 1030) for Flute & Harpsichord"